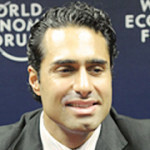 Aly Z. Ramji is currently the principal of Gamut International, a Canadian/US based trade and investment advisory, and public diplomacy consulting firm aimed at doing business in Africa. Ramji has worked with government agencies, foundations, NGO’s, non-profits and international agencies in the areas of diplomacy, and sustainable and ethical investment and development. He is also a Director in SanaCorp, an East African/Tanzania based consulting firm aimed at investment facilitation and local content development in the region’s energy sector. Currently he is involved in East Africa’s oil and gas arena, and has been instrumental in bringing numerous foreign firms into the region to invest in Energy, Agriculture and Aquaculture, mining and communications. Ramji has previously worked for the United Nations, UNESCO and the International Institute for Sustainable Development on matters related to economic development in various countries in Africa. He also served as a Subject Matter Expert to the United States Department of Army – Human Terrain program, providing relevant socio-cultural and economic training to US Army commanders. His expertise has assisted the US Military to understand a better approach to economic reconstruction in conflict areas. During his graduate studies, Ramji was responsible for creating the esteemed Graduate Program in Public Diplomacy at Syracuse University. By undertaking simultaneously two Master’s Degrees, Ramji merged the University’s Maxwell School of Public Policy and the Newhouse School of Public Communications via their Masters of International Affairs and Masters in Public Relations into a streamlined program. Today, the Program is considered as one of the top global graduate programs in Public Diplomacy, bridging the world of communications and international affairs. Ramji also holds a Bachelor of Arts in Economics/Finance from the University of Waterloo, including various Certifications in Oil and Gas Management, Conflict Resolution and Investment Banking.